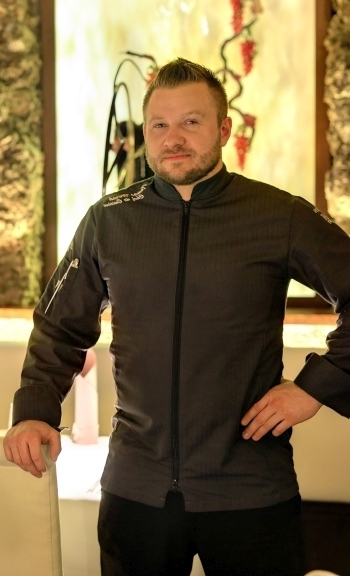 Art gastronomy by Tomas Horak will enchant you with a variety of colors and flavors. Artwork on a plate - so you can describe the gastronomy that our chef de cuisine with his team prepare for you. Indulge yourself with unique food creations and enjoy high gastronomy in the interior of the Art Nouveau stalactite cave with more than a hundred years long history. 2. Kumquat / Pineapple / Radish/ Cucumber Icecream / Apple/ Vinaigrette Le Baume de Bouteville – Balsamique Français Artisanal 6 y.o. Kumquat/Pineapple/Radish/Ponzu – Cucumber ice cream/Vinaigrette Le Baume de Bouteville – Balsamique Français Artisanal 6 y.o. 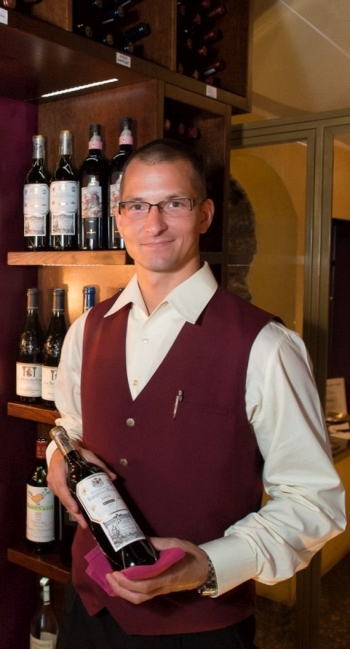 The speciality of our sommeliers is a selection of the best wine for your meal and your taste. The rich wine cellar from all over the world invites you to choose "wine made to measure".